Come enjoy your own Southern Surprise! Enjoy a private pool and great views of the Gulf of Mexico & Little Lagoon at our Gulf Shores vacation rental beach house only 200 yards from the beach. This is closer than many 'gulf front' resorts and has an elevator--a rare find among West Beach homes. With 6 bedrooms, the house sleeps 12-16 guests (maximum 12 adults). Sorry, we are unable to accommodate groups under the age of 25. Enjoy your own custom gunite private pool. Relax in the lounge chairs and enjoy the views. We also have grills and picnic tables for your use during your stay. 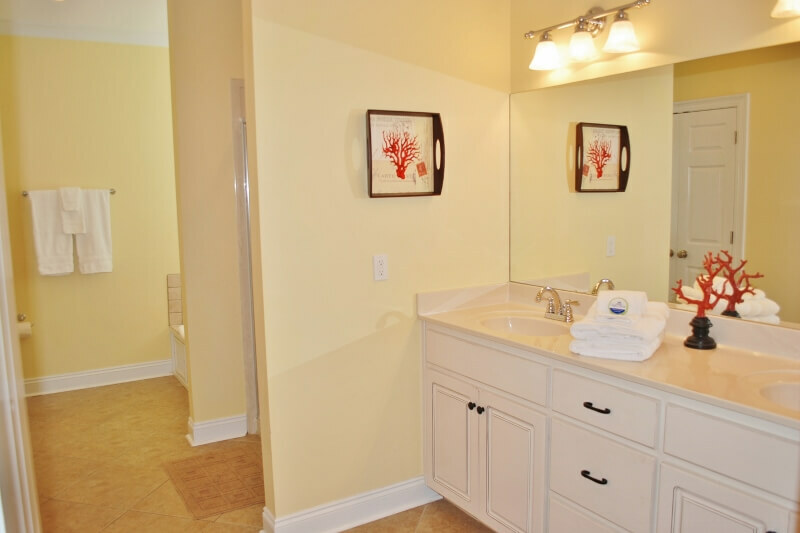 Southern Surprise has lots of nice luxury touches like a huge master bath on each level, wet bars with under counter icemakers, private baths for each bedroom and more. You'll love the pillow-top mattresses and soft sheets. Wonderful porches provide great views of the Gulf to the south, and Little Lagoon to the north. The house is divided into two three-bedroom/three bath halves, one stacked over the other, with an interior connecting stairway and an elevator. Great for togetherness or shut the doors and each feels like its own house. Each floor of Southern Surprise has a spacious living area with wide open Gulf views and a large covered porch with a table and chairs to enjoy outdoor dining or relaxing. 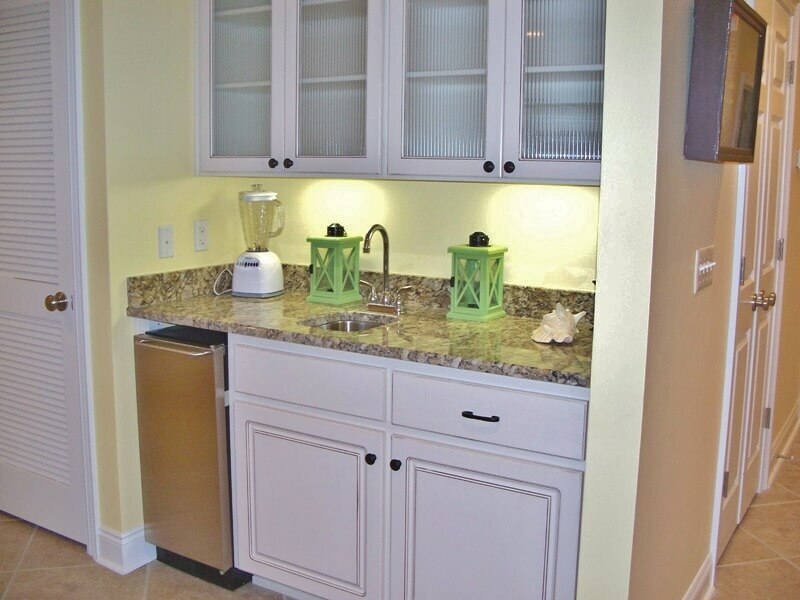 The beautifully equipped kitchen is open to the living area and features custom cabinets, granite counters and stainless appliances. The master bedroom has a king-sized bed, adjoining lagoon-view private porch, and master bath with separate Jacuzzi tub, shower and double vanities. The second bedroom features a queen bed and private bath. The third has a pair of twins, a lagoon-view balcony and a private bath. 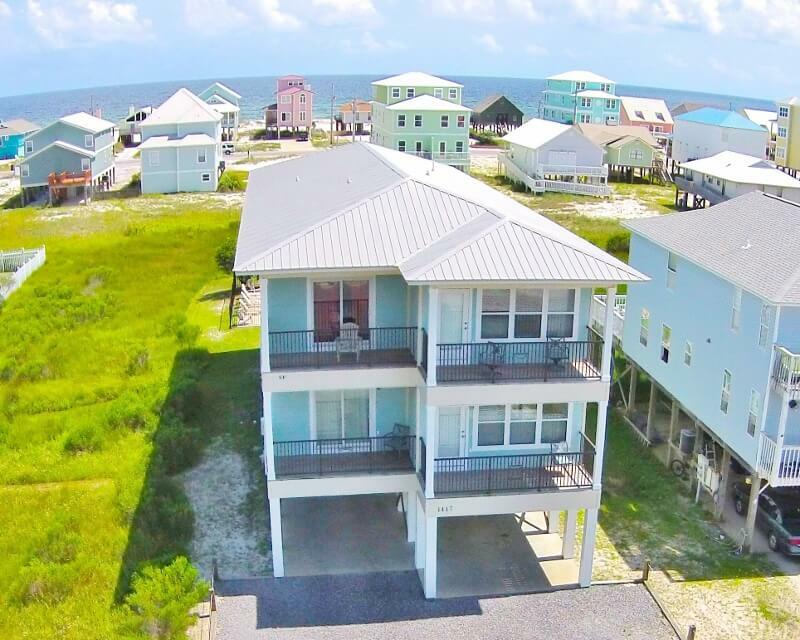 This laid-back section of Gulf Shores known as West Beach has 4 rows of houses from the Gulf on the south to Little Lagoon on the north but is only 2.5 miles west of Hwy 59 with its selection of restaurants, shops and attractions. Great, family-friendly area close to Waterville USA, The Alabama Gulf Coast Zoo, putt-putt, and more. A major outlet mall with Coach, Gap, Ralph Lauren, Nike, Juicy Couture and more is 8 miles north in Foley. This house was the perfect for our family. I loved the multiple floors and that each bedroom had its own bathroom. The location was perfect for walking to the beach and going to all the shops. Great place to stay. We have stayed here three times over the past few years! 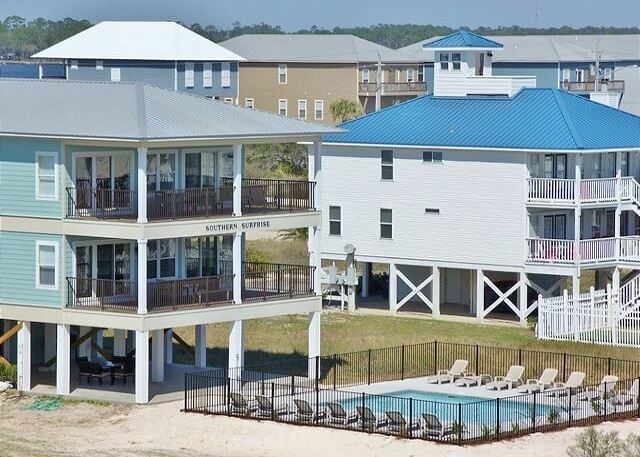 The condo is beautiful and very convenient to Hangout and all the main eating places in Gulf Shores! Every thing is always clean and nice and the kids always enjoy the pool! They send you contact information when you arrive so that if any issues come up they will deal with them. Great place to stay! We all had a great time, the house was beautiful and had every thing we needed except flash light batteries. We enjoyed the pool and the beach and all the great resturants. Southern Surprise was perfect for our big group, kitchen/living room areas are spacious & Bedrooms with private bathrooms worked out great! The pool area was just as promised and the property provided plenty of chairs, umbrellas, etc for the beach (it’s a short walk to the beach). We’d definitely stay here again!!! Beautiful home, everything we wanted and needed and more!! We had an amazing time at your home. We loved the way it was 2 levels. It was perfect for our party of several families. The home was beautiful and had everything we needed. The whole group loved the duplex layout. Everything was great. Major, major problem....couldn't afford to stay a couple of weeks longer. So glad we found your place on short notice. A lot of water laying on car ports, back patio and the side yards. Had to walk through stickers and tall weeds to go to the beach through back yard. Had to go by car to get anywhere. Wifi was awful. The house was great-had plenty of room. The elevator was a big help getting things up to the top floor. We all enjoyed our stay very much. Great home and great location for large families. Enjoyed our stay except for three days of rain . The wi-fi was weak ( may have been the storm). 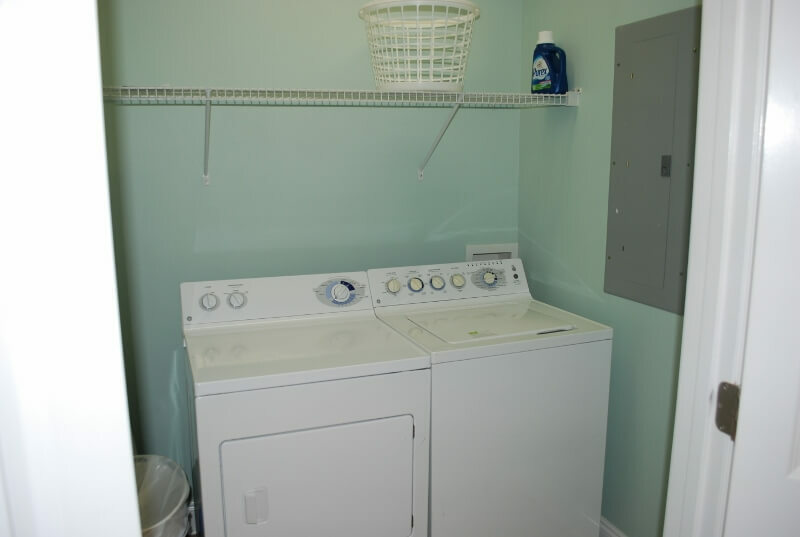 Also the dryer on the first floor took a long time to dry towels. Have no real complaints and will certainly be back. The underneath is perfect for grilling, shrimp boils and gatherings in general . Highly recommend this home. Southern Surprise was no surprise! We had a wonderful stay! GSVR staff was very responsive, positive and pleasant. They provided more amenities than another rental. We have been coming to this area for a long time. This was the best rental ever! The vacation home was very spacious and beautiful. We had lots of rooms and bathrooms for everyone. The elevator was really a plus because we brought my mom who was in a wheelchair. The only negative was that we had no control of the air conditioner. It was set. For the money you pay you should be able to control. Very good! We do want to note, however, there was a broken dining chair on first floor when we arrived, and the smoke alarm above 2nd floor kitchen kept chirping. The network name "Southern Surprise" was not available, nor did the passwords provided work for connecting to WiFi. Came in for the NCAA Beach Volleyball Championships. This was the perfect set up for us and a few of our family friends. Our family vacation was wonderful. We rented Southern Surprise and When Pig Fly for our family of 32 people. Southern Surprise is a beautiful home and very spacious. When we had air conditioner problems, they were fixed right away. The only negative is the sleeper sofas - not very comfortable at all. Overall, we would definitely consider staying there again! Unfortunately, sleeper sofas are not very comfortable but these are among the best we've found and we have guests who want to have part of their group sleeping on them instead of staying in a larger home. We do have larger houses that can sleep 16 guests, or even 32, in beds. We try to have the most comfortable sleepers we can but they are never going to be as good as a bed! Had a great time, house is big, clean and very comfortable. It was perfect for us! We had a wonderful time staying at the Southen Surprise ! family luau, swim off, cook off and much more. We absolutely loved our stay at Southern Surprise. The rental was very clean and decorated perfectly. The elevator was a godsend for my elderly parents. We all also thoroughly enjoyed having our own private pool. The only thing that could be considered a negative was the bedroom televisions had far fewer stations than those in the living room. We rented both floors. We had nine adults and 5 children from 5 families stay together. The house was wonderful. The house was just like in the photos. So nice to have a bathrrom for ach bedroom as well as a powder room. We enjoyed having our own pool. Easy walk to the beach. Very easy check in process. Loved seeing the lagoon off one side of house and beach off the opposite side. Everything was clean. Well appointed units. Elevator was wonderful as I had just had a knee replacement and sometimes I just wanted to skip the stairs. The elevator was very helpful when unloading and loading cars, groceries, etc. Would definitely stay here again. Home was clean. Weather was great. Geoff and Susan were very easy to work with and made sure everything was taken care of. A great week overall with no hassles. The group that stayed in Southern Surprise was very satisfied with the property. Beautiful beachhouse, looks just like the pictures!! We had a wonderful week at Southern Surprise. The house was perfect for our kids, their spouses, and 6 grandkids. Having the pool right there was a bonus. The layout of the house is perfect, plenty of space to be together or have your private time. Great house it was prefect for our two families. The weather could have been warmer but that is out of our control. "Southern Surprise" is a Charm! 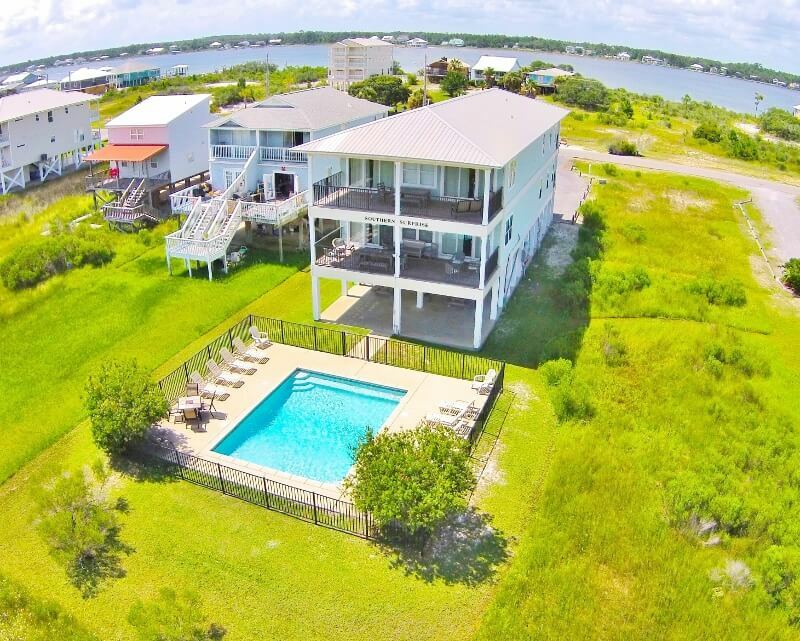 Great location and lovely property for our families to enjoy a week of beach, pool, and golf fun! Souther Surprise was the perfect home away from home for our two families. Each family had their own floor. Each bedroom had its own bathroom and the living area was large and spacious. The kitchen was well equipped so we were able to easily prepare meals. Having our own pool was fantastic! The beach was nearby and the house was clean and tastefully decorated. Loved, loved, loved!!! Someone in our grouop said that the house was better in real life than in the pictures! It was! We had a group of 10 that rented the whole house (top and bottom) for a weeks reunion in the area. The house was great! It was clean and well maintained. We found the kitchen well supplied and enjoyed having a grill available. The beds were comfortable and it was great having a bathroom with each bedroom. We enjoyed relaxing on the decks and by the pool. The beach was a short walk away. The beach was gorgeous! This is a great area of Gulf Shores, close to everything but a quieter feeling not being close to high rises, etc. Susan and Geoff were helpful with information about where to eat and things to do in the area. We would definitely recommend Southern Surprise! Southern surprise was perfect for our large family! The 2 floors of living space, 2nd kitchen and 2nd living room provided ample space for us. Easy walking distance to the beach, an awesome pool and plenty of balconies. The furnishings were pretty and updated! We stayed here for Hangout Music Festival, it was 2 miles from the festival. The house was very clean and easy to contact anyone if needed. Southern Surprise was everything we hoped and more. Very comfortable and convenient location. This property is very well maintained and clean. 3 families stayed for seven days. Plenty of room, and is an upscale place. Pool was nice for the kids. Had to drive to the beach, but only a couple blocks and plenty of parking at 13th street which is just across the street from the beach access. Had an air conditioning problem our last full day there, but called mx and they were there in less than an hour and fixed the problem. And it had an elevator which made it easy to load and unload. Great condo! I would highly recommend this property. It was a short walk to beach & private pool was a bonus. We had a wonderful week. We loved our stay. The home had everything we needed. The ocean was close, the pool was awesome and we had plenty of room for all of us. There were plenty of dishes, loved the ice maker. It was the perfect place for us to hang out and enjoy everyone! I cannot say enough good things about our stay at Southern Surprise. Spacious, clean, convenient, exactly what I signed up for, etc. etc. I will definitely come back. Great house and great view. Southern Surprise is a lovely home that was very clean and comfortable for a family of 12 people. The three children who visited had a ball. It was especially helpful to have an elevator for the elderly and for hauling groceries. The one and only annoyance was having to wash the towels before leaving in the morning. We would definitely go back to Southern Surprise. Definitely enjoyed our mini college reunion at southern surprise. Having an elevator and pool were great for those of us with kids. Well equipped kitchen helped us save money by making meals at the house and enjoying everyone's company rather than bring our screaming kids to restaurants haha. Really enjoyed our stay. Southern Surprise . A real great place to stay. Home is very convenient to beach if that is why you are there. Great swimming pool for the children. We love the area underneath the home for hanging out. We had a shrimp boil there one night. We go every other year with a large family and the two living areas make it great. Our family highly recommends this home. Great family vacation home. We had a great time and accommodations were ideal for a large family. My husband, our children and grandchildren had a wonderful vacation at Southern Surprise. We were blessed with beautiful weather for the week so the kids played in the pool and enjoyed the beach so much ! The house was great with everything you need for a relaxed vacation and was very clean and well kept. The location is far enough away from the busy area that you feel you are secluded and yet close enough that you can be at the shops and restaurants in minutes. We dined at Lambert's , Mikee,s ,Tacky Jacks, and Cracker Barrel, shopped the island stores, visited the park at Orange Beach, hung out at the pool and beach and played games all night. Loved everything and will definitely come back! I do wish the pool had handrails as I was not able to get in , however, having the elevator gave me freedom to go a lot more than I have been able to in past years at our other locations we have visited. 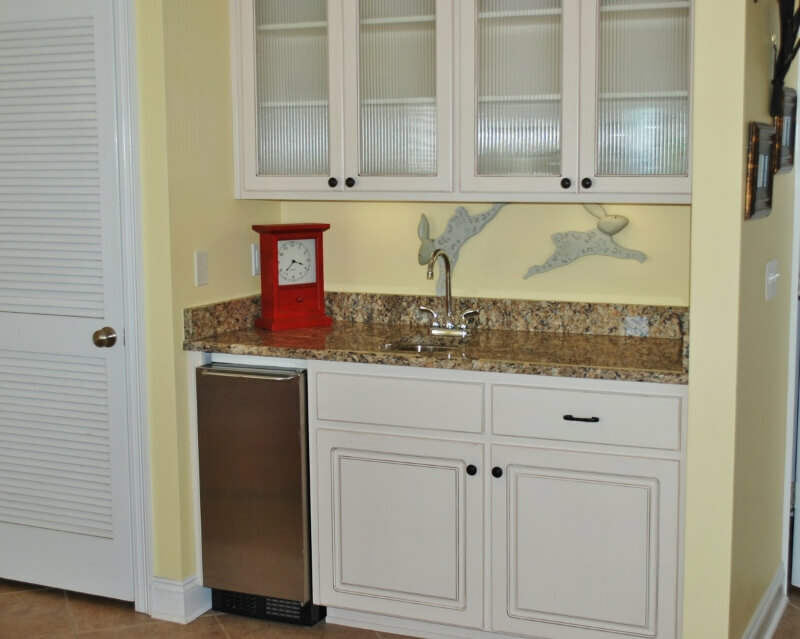 The house was very well furnished and the kitchen equipped for cooking. The back porches were ideal for relaxing and the pool was great. The beach is a five minute walk, and the weather could not have been better. It was a great vacation and we hope to return to Southern Surprise next year.